Going on a camping trip requires a lot of preparation especially for first-timers. Not only are you supposed to be both physically and mentally fit, you also need to pay special attention to your basic wilderness skills. Also important is your choice of equipment and gear that you will be bringing with you. While we cannot really tell you specific products to bring, we can nevertheless, share with your our essential camping preparation checklist to get you started. Starting a fire and building a campfire is perhaps one of the most essential, most important skills that any camper needs to master even before heading out into the woods or in the wilderness. Fire is what you need to boil the water you’re going to drink and use to cook your food. You will also need fire to illuminate your way in the wilderness, providing ample light to your campsite, and give you warmth especially on chilly nights. As a matter of fact, no camper should ever venture into the wild without first knowing how to start a fire using very primitive methods. Thankfully, there are camping gadgets you can rely on to help you start a fire using primitive methods but employing 21st century technology. This is why you’ll need a fire starter that’s tough, durable, efficient, and absolutely weatherproof. It should never fail in its function regardless of how extreme and harsh weather and environmental conditions can be. You always have the option to build your own temporary shelter in the woods. But what if you head out in an open space where materials simply are scarce? This is where camping tents come in. 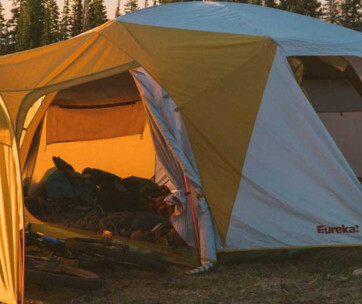 You need a large camping tent that’s easy to set-up, lightweight, and have exceptional weatherproofing. A waterproof tent also comes in handy. It should never be bulky, too. If you don’t mind sleeping on a bed of grass, then you won’t need a sleeping bag. Unfortunately, the wilderness can be very unforgiving especially at night. 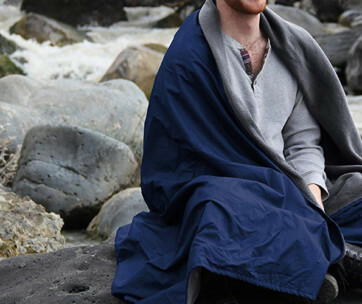 So, even if you had a hammock which effectively raises you from the forest floor and away from critters and bugs, you’d still need a tough, durable, and thermally-efficient sleeping bag to keep you warm and protect you from the elements. You don’t bring your luggage whenever you head to the woods, up the mountains, or even beside a lake or river system where you’ll be setting up camp. What you will need is a survival backpack that’s ingeniously designed with plenty of pockets and storage compartments to keep all of your other gear. These bags should have exceptional padding on their straps as well as their back panels to help support your body in carrying the tremendous weight of the backpack. The bag should also be made of waterproof and super strong and durable material. These also need to be breathable so they won’t wear you down that easily. Great examples of this kind of backpack are also backpacking backpacks and external frame backpacks. Don’t mistake a bug out bag or BOB for a survival backpack. The main difference is that the BOB is especially intended to help you survive in the first 72 hours, although it is not uncommon to see some kits having supplies that can last longer than 3 days. The point of bringing BOBs is as an emergency kit which can contain a lot of your medical and first aid supplies as well as basic necessities that you will require in case of a disaster or emergencies. Serious survivalists only rely on one knife whenever they go out into the wild – the survival knife. These kinds of bladed tools often come with a variety of attachments or functions to enable you to perform more than just cutting, slicing, and hacking. These are often heavy and very thick, giving you optimum performance with each swing. The attachments or multi-functionality of the survival knife actually depends on what you really need and where you’re going. Some people mistake a hunting knife for a survival knife, although it is not unusual that a survival knife can actually be used as a hunting knife. To differentiate, hunting knives are specifically used in the processing of game such as cutting, skinning, slicing, and the like. As long as it is used within the context of hunting, then it is called as a hunting knife. Ergonomic grip, durable and strong blade, and balance are things to look for in such gadgets. While not absolutely necessary, some campers and survivalists do recommend bringing a portable and well-balanced tomahawk with you. This is for cutting down large and thick tree limbs as well as for chopping wild game. There are many other reasons why you may want to bring a tomahawk with you. Just think of it this way. 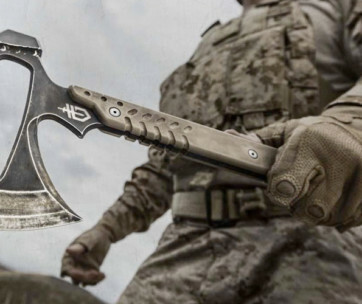 If you think you’ll be cutting something large that doing it with a survival knife can take you an eternity, then a tomahawk should be made available. While it is true that you can start a fire using a firestarter to build your campfire, there will always be instances when you need a camping lantern to illuminate a specific area of the campsite, maybe inside your tent, or even when trekking on an unknown path. Lanterns for this purpose should run on long-lasting batteries or even on solar energy since you don’t have the luxury of electricity in the wild. It should also be weatherproof and waterproof, very rugged and tough, and built to withstand shocks, vibrations, and even drops. When you’re in the wild, you’re literally at the mercy of Mother Nature. That’s why you need to stay in touch with civilization. Hopefully, you don’t have to use an emergency radio. Nonetheless, it’s always a good idea to include it in your camping gear. Make sure the radio can deliver alerts and warnings from NOAA. Don’t bother yourself too much with the radio’s ability to receive FM signals. You may also want to look for devices that provide Specific Alert Message Encoding or SAME. This system allows you to receive alerts and warnings for specific areas that you require. It is also important to look for a radio that supports a variety of power sources. If you’re into hunting, you can always rely on a tough, sturdy, and fully weatherproofed trail camera to help document your game remotely. These types of outdoor cameras are used almost exclusively for game surveillance. This allows you to get a better understanding of what you are hunting for. You can choose from a variety of trail cameras like digital, laser aim, infrared, strobe flash, and even sound-activated types. Also look out for the quality of the images recorded and the average length of continuous operation of the device. Getting lost in the woods or the wilderness is always a possibility regardless of how well you have studied the maps of the area. That’s why having a hunting GPS is crucial to help you maintain your bearing. Choosing the right hunting GPS entails an understanding of the correct screen size for ease of visibility. The memory capacity is also important as well as its waterproof features and overall weight. You might also want to consider the dimensions of the gadget as you don’t want it to be very bulky. You might think you can wear your ordinary jeans when you head outdoors. Regrettably, this will not give you the versatility that you need to handle all of your gear while protecting your lower limbs from the elements. This is something that a tactical pant can guarantee. These are lightweight yet very tough garments that come with double reinforced knees and seat to enhance your protection against abrasions. Some also come with knee slots to accommodate neoprene kneepads. It comes with various attachments, too. These pants are different from tactical pants in that these are especially designed for trekking, walking, and hiking and not necessarily carrying a lot of gears and tools. Hiking pants are made of quick-drying fabric materials such as nylon or even spandex that should keep your limbs dry, warm, and well-protected against the elements. 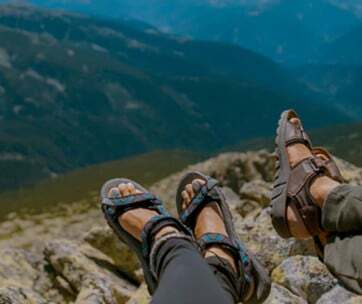 These are not your ordinary work boots or even hiking shoes. Hunting boots are designed specifically to enhance your hunting skills. In choosing the right pair of hunting boots, you need to know where you’ll be hunting as different boots come with different designs specific to a particular hunting terrain. You will also need to consider the temperatures in the area where you will be hunting as well as the presence of any body of water which will require you to go right in. Of course, hunting boots should fit you just right, otherwise, you’d end up with an aching foot. To help ensure you make the most of your camping trip, it is essential to go prepared. 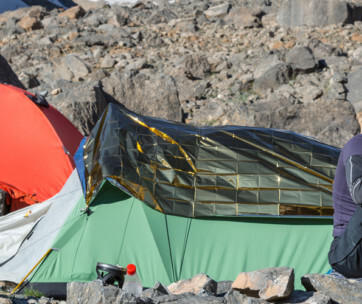 You can always prepare yourself physically and mentally, but if you lack the tools and/or equipment needed to make your camping worthwhile, then all of these preparations will be for naught. 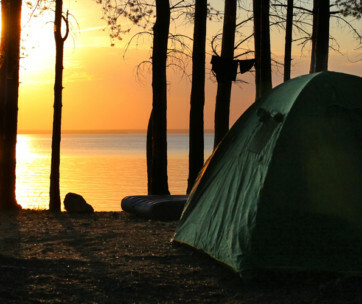 With this essential camping preparation checklist, you’re empowering yourself to enjoy every minute you spend with Mother Nature.